All dive sites at the Osprey Reef have a drop off and are usually also drift dives. At some places its possible to dive into the reef by using natural caves & caverns. Watch out sleeping sharks! According to the season different trip variations can be possible. 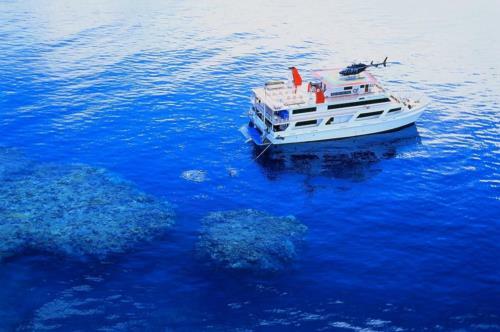 You may think that trip is expensive - its not (21 dives in 6 days at the best dive spots on the Great Barrier Reef). If you have time watch out for last minute offers in Cairns (up to 50% discount). 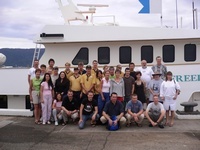 Incredible 3d/2n Australia Great Barrier Reef liveaboard for just $465 USD!